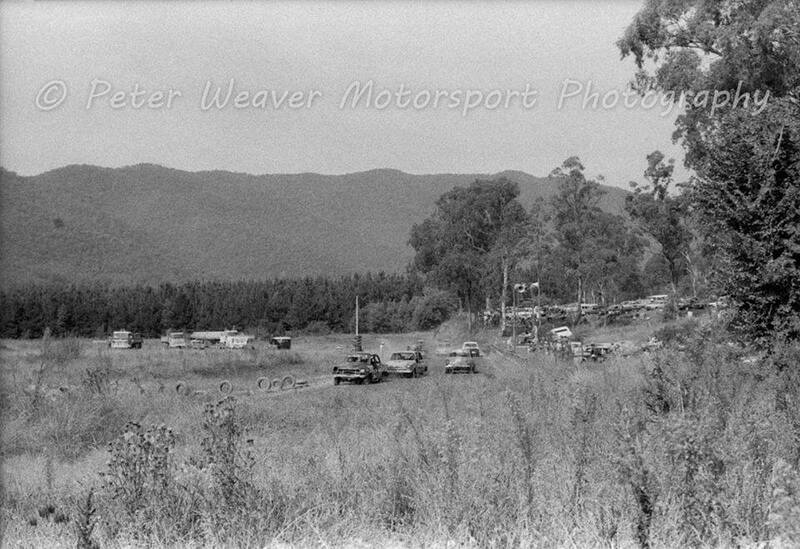 The Bright Car Club built itself a circuit near the football oval around 1959, Like many others in the same area, It was an oiled dirt circuit about a mile to the lap, It only lasted till late 1961, at which CAMS would no longer licience unsurfaced tracks. This early track was essentially "before speedway" and was a circuit track as decribed, unlike todays traditional ovals, In those days, just about any type of car or bike could race there, not just speedway cars. It appears that in the late 1960's or early 1970's there was a resurgence of interest, and in 1972, Bright Motor Sport Club, a separate identity to the original occupants, The club was listed as a member of the Ovens and Murray and Southern Riverina Hot Rod Association, There were several speedway clubs in this group, and rules were pretty lax as far as racing conditions and safety were concerned. This improved somewhat in 1976 with the affiliation with the Victorian Speedway Council, The track obviously survived in some form until the late 1970's when the Peter Weaver photo was taken. 1979 Bright Speedway through the Peter Weaver Motorsport Photography lens. The date of the demise of the track is unknown, but would probably have been around the early 1980's, when new rules imposed by speedways governing bodies and racing became more expensive. The good old days were gone, It is likely that any remaining enthusiasts would have joined the neighbouring Mt Beauty Club, which still exists today.